We’ve been implementing Git for quite a while on our HTML5 games projects and we love its code management possibilities and its collaborative features. Using Git with the command line is too hard for us, that’s why we need a client. Until recently we were using SourceTree. SourceTree is a great product and it’s free, however there were 2 things we don’t like. First, the theme is white as siberian snow, and our tired programmer eyes really favour a dark theme. Second, SourceTree seems to work better on Mac than Windows. That’s why we’ve decided to test the free version of GitKraken. The team of programmers developing each of our game projects usually consists just on 1 or 2 guys, so the free version is enough for our current needs. 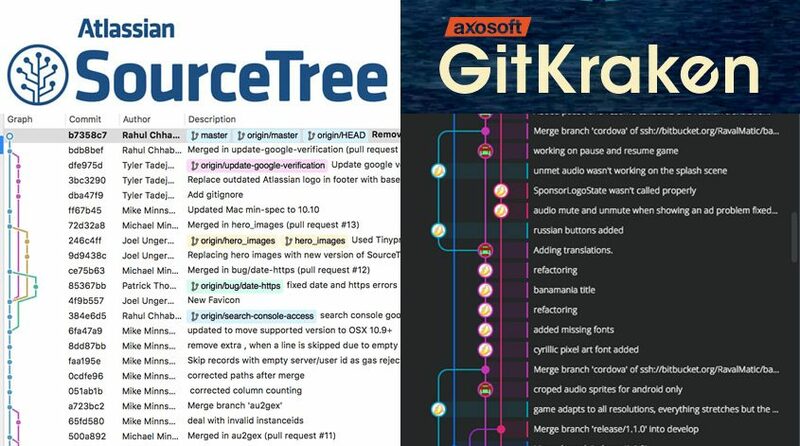 Do you already have your own favourite Git client? Have you also suffered from white backgrounds and bleeding eyes?